Chamblee wrote this piece for Golf.com, giving out report cards for various players at the end of the 2013 season. The remarks made about Tiger, in which he compared his cheating on a math test in the fourth grade to Tiger’s run-ins with rules violations this year, caused a storm. 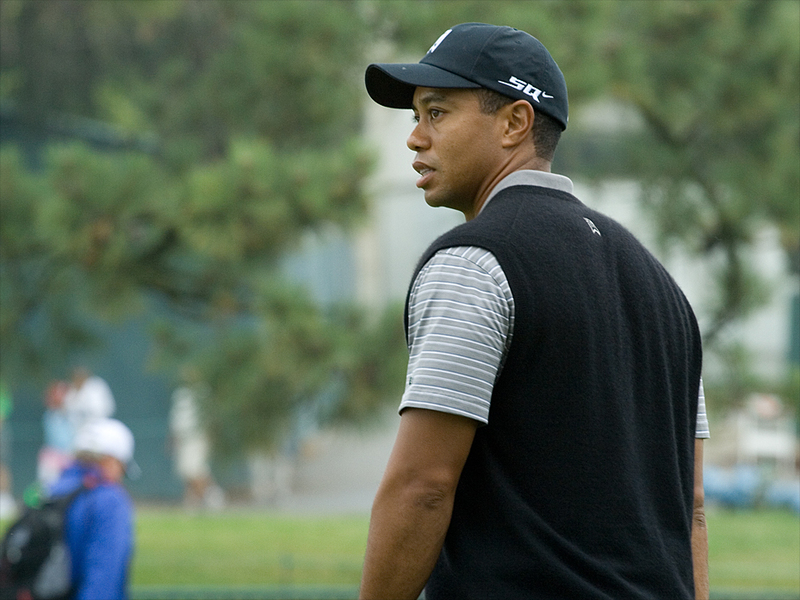 At the end of it, he gave Tiger an ‘F’ despite five wins during the 2013 PGA Tour season. Several people, including Tiger’s agent Mark Steinberg, thought that the column was completely unfair and that the label of “cheater”, which Chamblee never explicitly used, was off-base. Steinberg threatened a lawsuit. Chamblee stood by his comments on Tuesday morning when talking to Doug Ferguson of the Associated Press. What brought me here was the realization that my comments inflamed an audience on two sides of an issue. Golf is a gentleman's game and I'm not proud of this debate. I want to apologize to Tiger for this incited discourse. My intention was to note Tiger's rules infractions this year, but comparing that to cheating in grade school went too far. I’m not sure I’ve seen a faster backtrack, but, why did we even get to this point? Chamblee knew what he was doing and he accomplished what he set out to do in the first place: grab attention and pageviews. We all clicked on it, and some got outraged, but at the very least, all of us were talking about Brandel Chamblee and his latest opinion regarding Tiger Woods. The same thing happened late in 2012 when he suggested that Tiger needed to fire Sean Foley and go back to Butch Harmon, despite a complete lack of evidence to back up his claims that Tiger was nowhere near the player he could be. Chamblee has always been critical as an analyst, especially of Tiger, but usually this revolved around his swing or his results on the course. Venturing into the area of cheating, pretty much the worst thing you can ever call a golfer, was his way of criticizing a player he couldn’t otherwise do anything about since he had been so successful. Sure you could mention that he didn’t win a major, but five wins is pretty much impossible to ignore. It certainly seems like someone, either a lawyer or employer told him to say something in an attempt to diffuse the situation. Why else would he have been so adamant that he was standing by his comments in the first place? Funny enough, his outright bashing of Vijay Singh, who many in the golf media can’t stand anyway, was just swept under the rug because of his comments about Tiger. Also, his apparent love for both Phil Mickelson and Amanda Dufner, plus a random shot at Padraig Harrington made the column seem even more pointless than a regular report card column would be. So, where do we go from here? There are people in the pro and anti camps for both Tiger and Chamblee, and this thing really won’t change any of that. The lawsuit may still happen, but with Chamblee apologizing, I doubt anything really comes of that either. Basically, something that should have been a non-story ended up being a story and we should all be moving on at this point, although I’m not sure that we’re going to be that fortunate. The comments were stupid and we shouldn’t have been surprised, but when it comes to Tiger Woods, people have a tendency to go a little overboard in both opinion and coverage. By the way, Tiger still hasn’t said anything and we shouldn’t expect him to at any point soon. Even without saying a word, he’s still the focus, and as usual, he comes out looking pretty good in a messy situation.